If any of you are like me, your Monday evening is usually spent winding down after work and despairing that the weekend is still so far away. 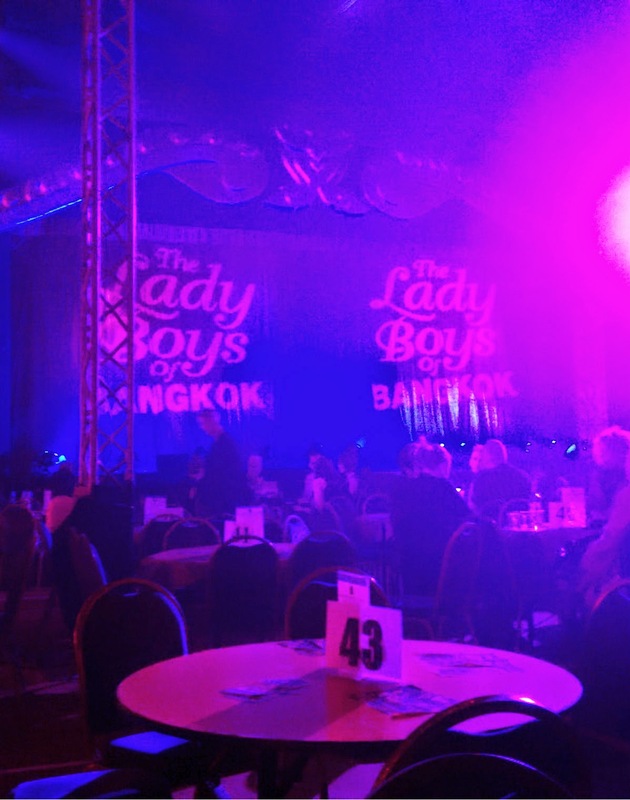 Thanks to the team at CMPR, I broke that dull routine when I attended the gala launch of the annual visit of the Lady Boys of Bangkok. 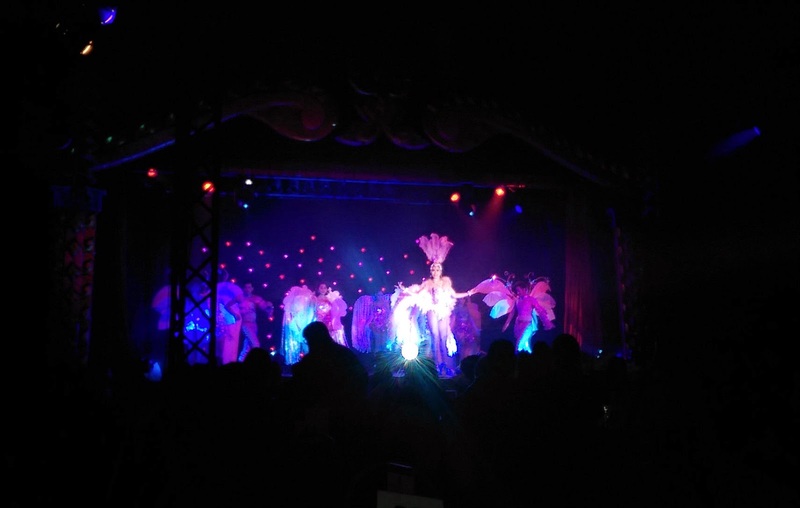 A glittering, feathered, spandex clad-spectacle of cabaret - it was such a camp, fun and carefree way to start the week. 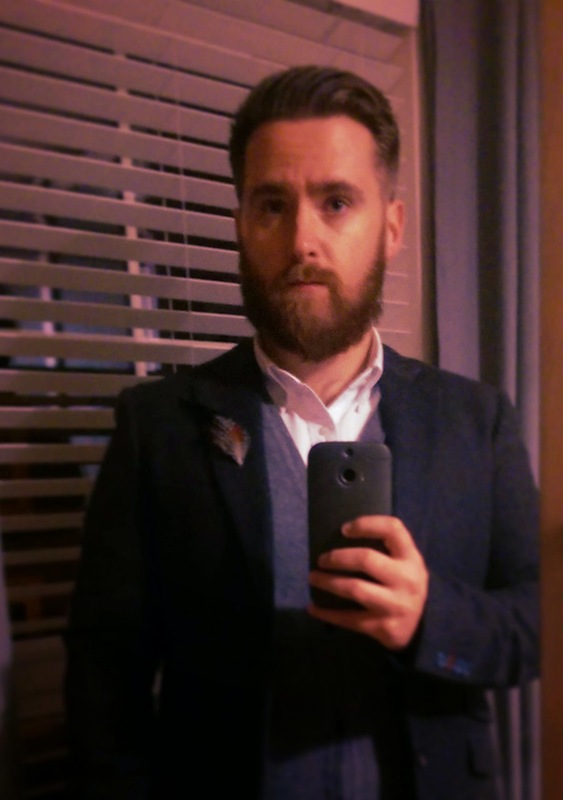 In light of the whole Mix It Up Monday thing, what better to wear than my new Mix It Up Blazer from Joe Browns? I was generously gifted my choice of product from the team at Joe Browns and I immediately went for this seriously smart piece of kit. 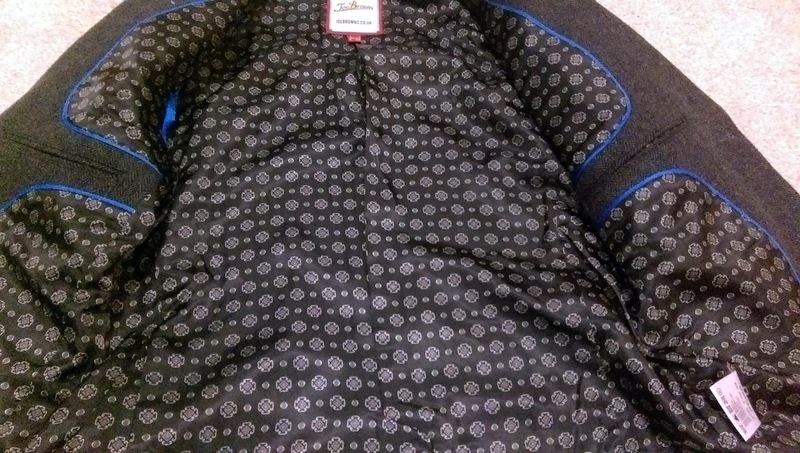 It certainly lives up to its name with contrasting fabrics and finishes. 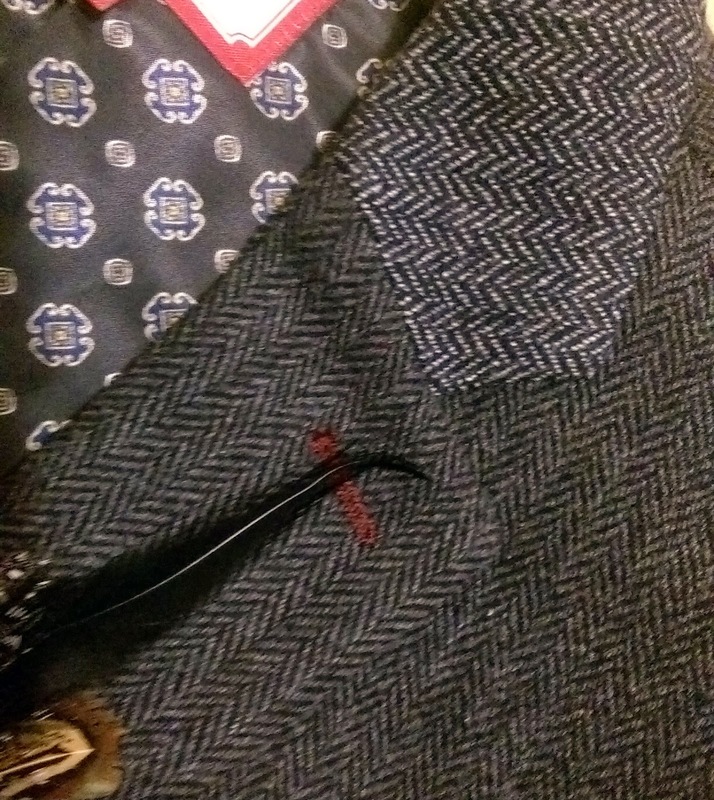 The base cloth is a charcoal herringbone tweed, offset with a lighter grey at the collar and piping on the pockets. The eclecticism continues with mixed-matched buttons and stitching at the cuffs, a bold patterned piano-faced lining and cobalt binding on the interior. 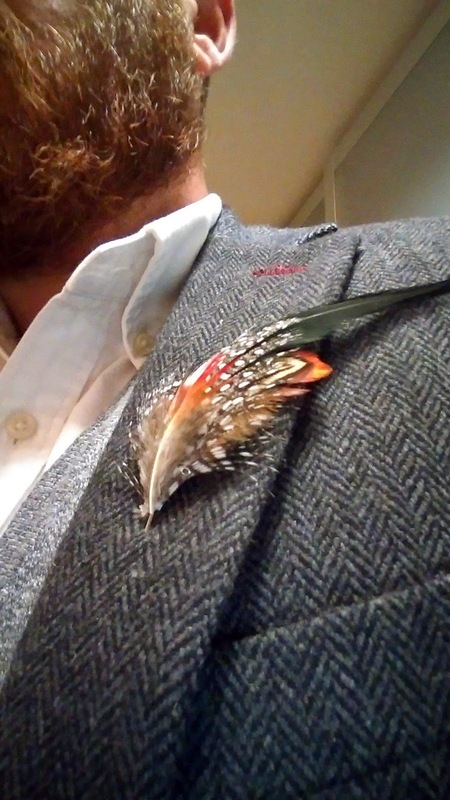 Perhaps my favourite accent is the theatrical flourish of a pheasant feather lapel pin - just the thing for a night at the cabaret! I kept the rest of my outfit rather simple with a white button-down collar shirt, grey cardigan, black skinny jeans and black creeper brogues (not shown). When you have something as special as this blazer, don't make it compete with the rest of your clothes. 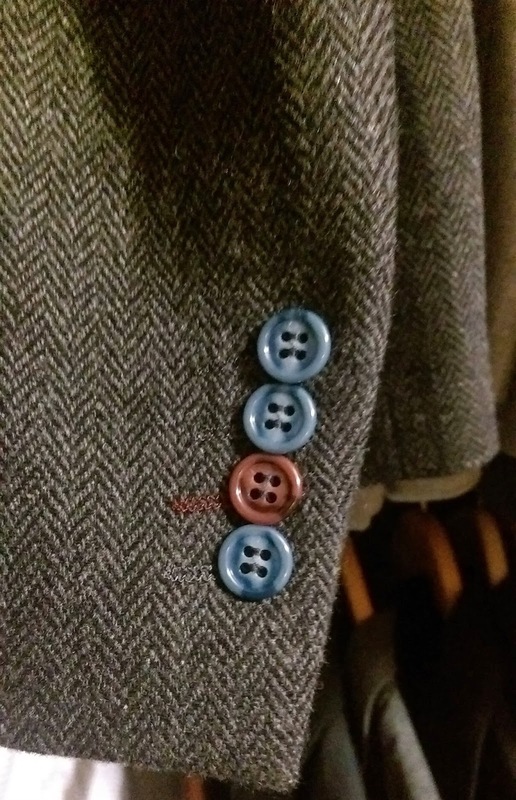 I previously (& incorrectly) used to think of Joe Browns as just casual and outdoorsy but the likes of this blazer and the selection of statement shirts has certainly proven me wrong. With the Christmas party season nearly upon us, there is plenty of options to choose from and there are some more pieces I have my sly eye on!